42″ Hamilton Single Pedestal Table shown in Quarter Sawn White Oak. 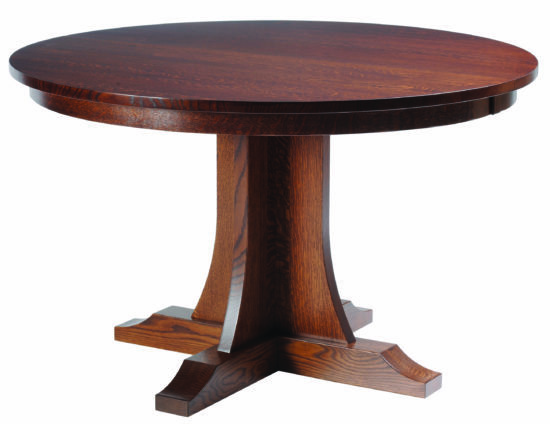 Standard Features: #5 Round top, 2 1/4″ wide skirting, #110 Mission edge, double equalizer slides, Hamilton single pedestal. Options: #30 Rectangle top, edge styles available. (6″ increments). Leaves: Up to 3.